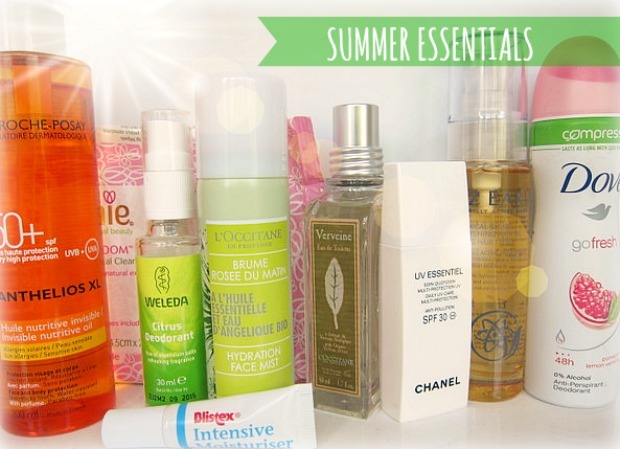 Summer Beauty Essentials: Nine Products To Help You Keep Your Cool In The Heat! We're approaching a record-breaking three whole weeks of sunshine here in Ireland and we couldn't be more delighted with ourselves. Everyone's grinning and the place looks amazing; ordinary little seaside towns have turned into Sorrento overnight. We're not used to prolonged periods of heat, of course, so it's meant lots of tweaks and changes to our normal routines. This little round-up has allowed me to keep my cool while the temperatures soar (I'll do my warm-weather makeup essentials in a separate post). ONE: L'Occitane's Angelica range is a favourite of mine for quenching thirsty skin and this Hydration Face Mist is the best of the many I've tried this summer - it refreshes, hydrates and can also be used to fix make-up too. My skin literally drinks it up. TWO: I'm not generally a fan of face wipes but these ones from lovely natural brand Amie are gentle and effective, not to mention incredibly handy for the handbag. With skin-reviving ingredients like pomegranate, cranberry and green tea they refresh as well as cleanse; they're £3.49 online here. THREE: La Roche-Posay has been my go-to brand for suncare for the past few years and this year I am all about their new Anthelios XL Invisible Nutritive Oil SPF 50+. My first oil-based SPF, the blend of 40% dry oil and 60% emollient feels more luxe and nourishing than your regular ol' suncream - and hence, less of a chore to apply. Enough sinks in for instant UVA and UVB protection but your skin will still have a light, non-greasy sheen and feel soft and supple. It's €22 for 200ml. FOUR: If there's a summer scent lovelier than L'Occitane's Verbena range or any of its limited edition variants then I have yet to find it. Fresh, citrussy and completely and utterly delicious, this new 50ml size is perfect for travelling; it's €38. SIX: Fellow citrus lovers will go nuts for Weleda’s new citrus deodorant, made with the tangy essential oils of lemon and sweet orange. Not only does it smell zesty and delicious, it's entirely natural - the range is free from from both antiperspirants and aluminium salts, using natural oil ingredients to neutralise odour-causing bacteria. I've put this through its paces on some of the hottest days this year and have no complaints; find it in health shops for for €7.95 for 30ml or €10.95 for 100ml. SEVEN: Chanel's UV Essentiel (€50) is one of the best facial sunscreens I've used; many have clogged my pores or caused me to break out but this light and lovely product does neither and absorbs quickly to leave a great base for makeup. The formula not only protects from the sun but from free radicals and pollution, too; it's now available in SPF 20, 30 and 50+. EIGHT: I'm a hair oil devotee and in summer it's even more important to treat your tresses. The Liz Earle Botanical Shine Nourishing Hair Oil (€18) is my current pick; with three types of botanical oils including hydration hero, coconut oil, it leaves hair smooth, soft and shiny. Oh, and the scent? Blissful. NINE: My friend Lola has long extolled the virtues of Blistex lip cream but I never seemed to come across it to give it a go. But the new Irish Boots website has changed my life forever; stocking a whopping 26,000 products, many of which you won't find in the smaller Boots stores, it's become my first port of call for a bit of beauty browsing. 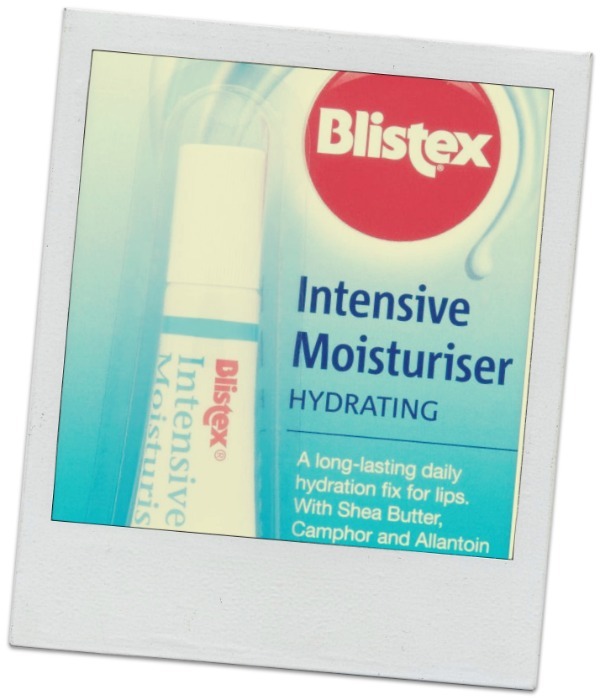 And Lola was so right about the Blistex - for a teeny €2.59, this intensive lip conditioner is as good as any I've tried. Find it on the Boots.ie website here. So that's what I'm loving - and you? La Roche-Posay has an OIL????? SO COOL!! I hope it comes here sometime soon! Love the idea of the face spray. I'm a huge fan of the Chanel facial sunscreen too! Love the sound of the L'occitane Hydration Mist , and verbana is my favourite scent. I'm very interested in the Weleda’s citrus deo. I used LRP oil on sun holiday recently and found it brilliant highly recommend it. Those new Dove deodorants are fantastic. We have them here in the office for emergency use. Fabulous products Emma! I love when companies come out with Spring/Summer limited edition scents. It's record HOT everywhere, it seems! :( I'm doubling up on sunblock and moisturizers, and gotta try that Chanel sunscreen! You have pretty much convinced me I need all of these products. Oh I'm loving Facial Mists at the moment, so cooling & refreshing must have a look at that L'Occitaine one next time I'm in Dundrum! I have been loving facial wipes during the summer! So many good things to try here! This is such a great roundup of seasonal products Emma! I love LRP sun care as well and I must check out that new oil. It sounds awesome! Another list of trustworthy products to choose from. Thank you Ems! Water mist is a must! I've been using an old clean spray bottle that I had for conditioner, put water in and used that. Not the most sophisticated but it works!